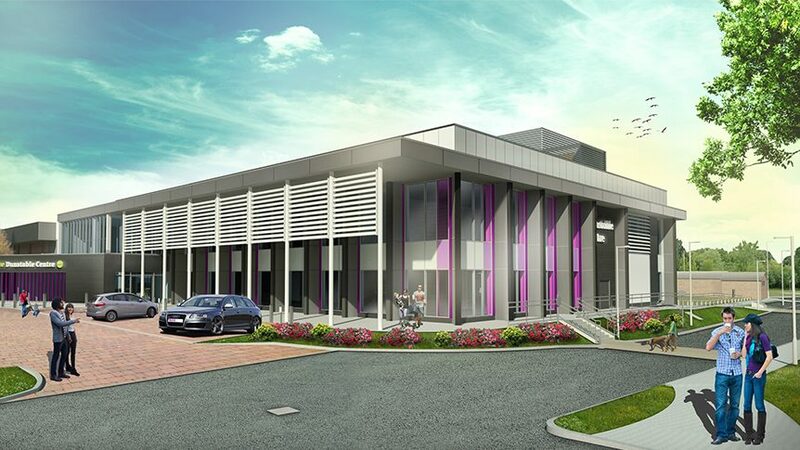 DarntonB3 is appointed as Architect and Building Services Design engineer for the extensive refurbishment and extension of Dunstable Leisure Centre. The existing leisure centre, constructed in 1974, required significant refurbishment to extend its life. During the initial stages of work a range of surveys were completed to assess the condition of the building structure, plant and fabric. Options were then prepared and it was identified that redevelopment presented an opportunity for co-location of other council services, most notably the library, which also required refurbishment. flexible community space for other public and community services. By bringing services together under one roof, the new facility will reduce running costs, while providing more flexible services to customers, such as improved opening hours for public services.